Flying will always be a pilot’s constant, unless adulting decisions come in the way. A true blooded pilot will always look for ways to accommodate their passion. Take for example Todd. When Todd and his wife found out they were having a baby (twins in fact! ), they were excited about how it would change their lives. Todd flew a lot and loved the personal time he had up in the air, alone with his thoughts. This hobby that is his passion fills in a big part of his life that he would now need to reconsider with the new responsibilities on his plate. Flying can be quite costly, all the more are adulting responsibilities. Todd took a walk and reflected on his upcoming adventure with family life and thought about putting his passion, flying, on hold. He talked with his pilot friends and asked for advice. The more he thought about it, the more unpleasant the feeling became. Todd loves flying. It was a lifelong dream that he only achieved at the age of 30. Aside from considering the costs and risks involved, he wanted to be the kind of father who teaches his kids about following their dreams and not putting it on hold because there are challenges on the way. The best way to do so if he followed his own. During his search for a solution, he was advised by senior pilot friends to join a flying/ aeroclub. The rising costs of flying have seen a decline in the number of pilots over the years. Because of this, passionate pilot hobbyists created flying clubs to encourage more pilots to hone their crafts. Flying clubs help significantly lower the flying cost of a pilot by putting together resources that the club members can share. AOPA in particular strongly promotes the advantages of clubs with plans to create a nationwide network. Aside from that, flying clubs also instill a sense of camaraderie and community that encourages and understands what a pilot member is going thru with respect to flying. Fixed-base operators (FBO) used to be the go-to for pilots looking to earn more flying hours. There are different benefits for going with a FBO or a flying club and one can maximize the benefits depending on the flying style and demand either would accommodate. A flying club charges on tach time while FBOs charge by hub time. Both offer similar facilities while the former offers a built-in support network that allows pilots to socialize on events and offer opportunities to build friendships and share their passion for flying. 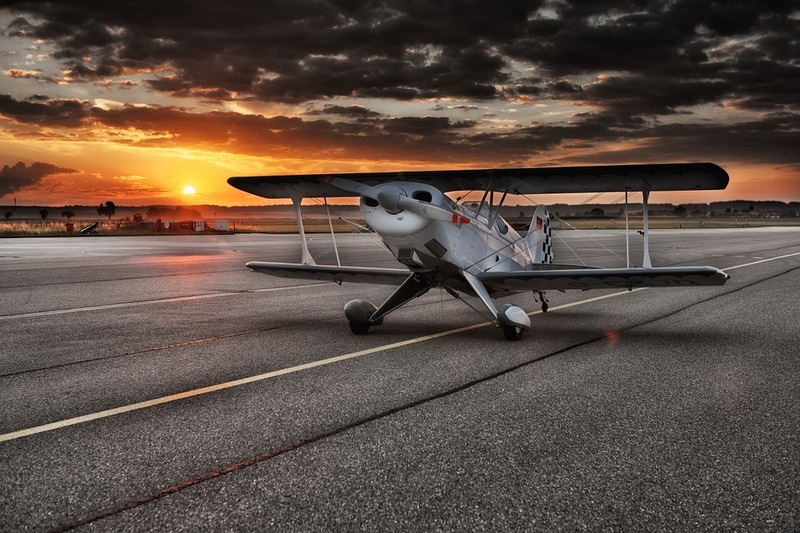 Flying clubs also offer you the opportunity to experiment on different planes and learn from other pilot members who specialize in specific models. This offers a great opportunity for you to try out different aircrafts and find something new that you like. Despite all that jazz, not all flying clubs are that great. So be wary and do your research first before joining any in your location. For a club to be successful, there are much to consider including the financial aspect, insurance and maintenance. 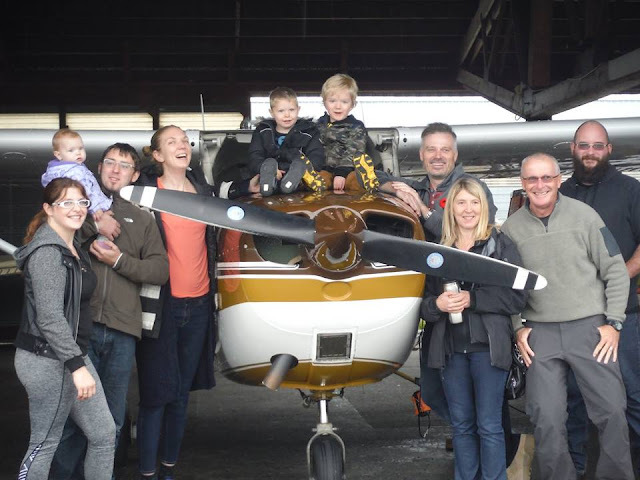 A successful flying club needs to have outstanding leadership at its core that entices members to be more proactive to attend events and offer more ways to improve the community. The best flying clubs maintain planes to a higher standard. Usually, they are better equipped with more options allowing you to choose aircrafts and groups you want to fly with. 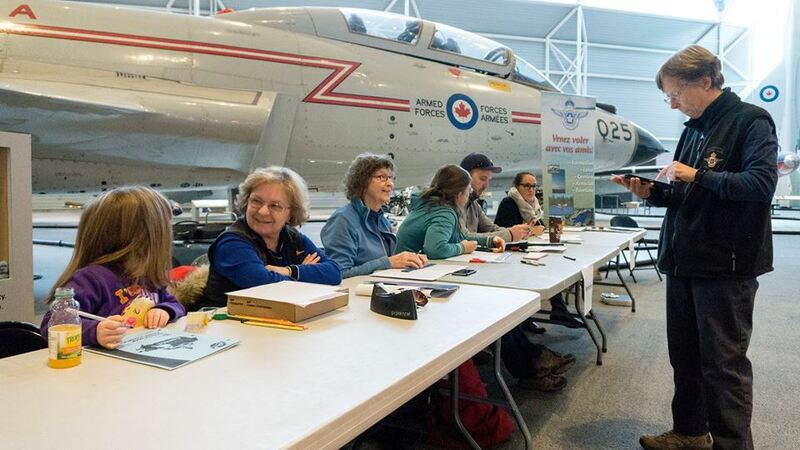 In Canada alone, there are more than 20 operational flying clubs and these numbers are growing. If you're new to aviation and want to learn to fly in Canada or want to join a club, here is a selection of 7 flying clubs in Canada that offer top notch support and resources for its members. 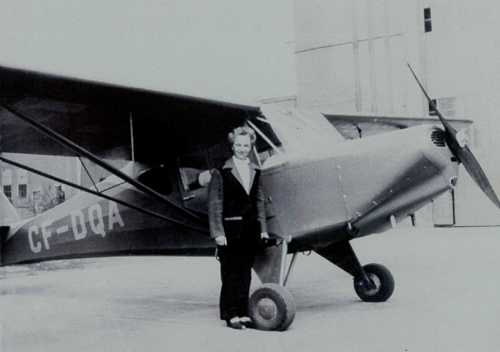 Mae Frame, one of VFC’s earliest members, takes her first flight in the club’s Fleet Canuck, 1947. Victoria Flying Club is based in the Victoria International Airport in British Columbia. The club was put up a year after World War 2 ended. It began operations in August 1946 after securing temporary lodging with the RCAF at Patricia Bay. It became a hub for aviation enthusiasts and highly decorated influencers. Today, the club is as busy as ever. Members love how organised and professional the club is. 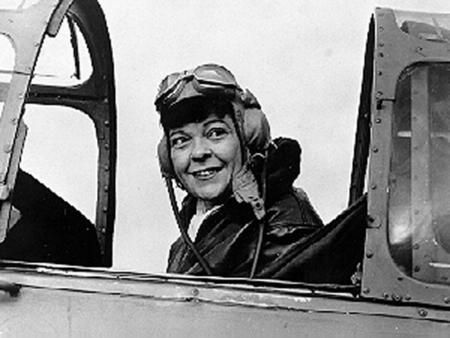 Marion Alice (Powell) Orr was hired to be the manager and chief flight instructor at St. Catherines Flying Club and was the first woman in Canada to operate a flying club. One of the oldest flying training clubs in Canada, The St. Catharines Flying Club was formed in May 1928, pre-World War 2. Today, it offers learn-to-fly courses, sightseeing tours, a ground school and a community of aviation enthusiasts. Ontario is known as "The Garden City" for its unique micro-climate where it encourages wineries to flourish. Members fly out from the Niagara District Airport. 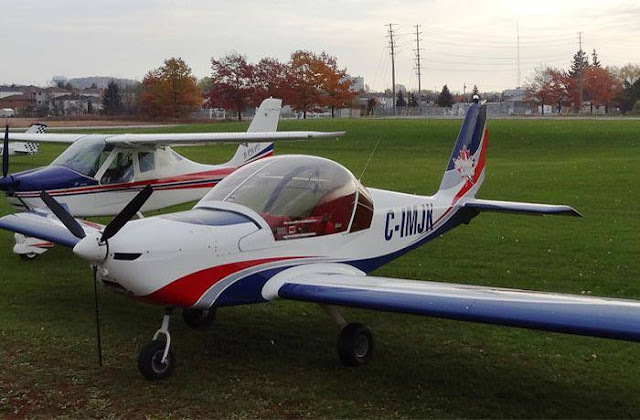 Located in Ontario, Barrie Flying Club offers trainings on the most advanced Light Sport Aircraft in the industry, including Thecnam and Sportstar aircraft. Club members can choose to fly out from three airports in Ontario: Barrie, Edenvale, and Cookstown Airport. The club offers ratings for Ultralight aeroplanes. Rockcliffe Flying Club is located in Ottawa, Ontario. The club offers ground and air training for Recreational Pilot Permits, Private Pilot Licenses, Night Ratings, VFR OTT and Instrument Ratings. The club has a very friendly environment with proactive members and excellent instructors that make the flying experience fun and easy. 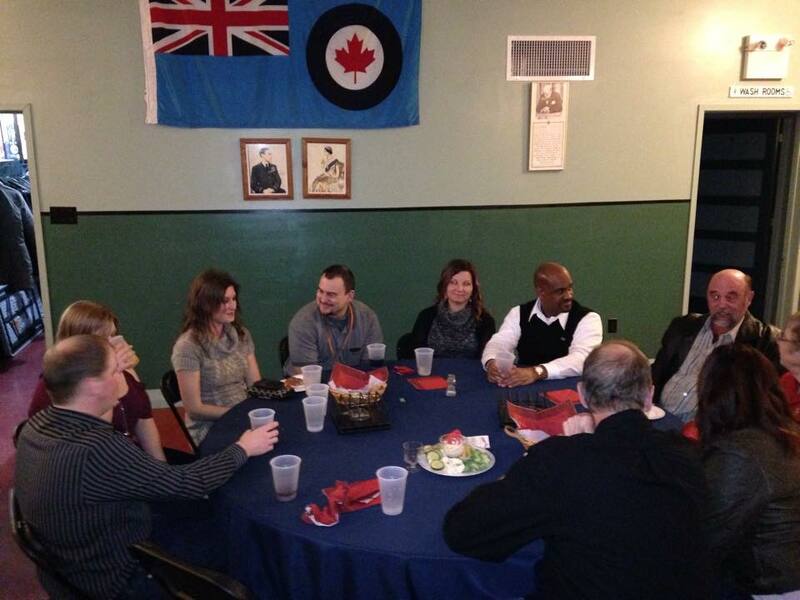 Brandon Flying Club is based in Manitoba and started as a training school of pilots. It was established on November 1936. Today, the club has over 230 active members with 30 lifetime members. There have been interest in the younger segments making events a more interesting and entertaining one. The club also offers a self-serve fuel unit. Nanaimo Flying Club is another club based in British Columbia. Members are quite proactive in choosing new member applications and agree on it on their meetings. It passes thru a nomination process and expect their members and applicants to attend. The club also invites interesting guest speakers to their monthly events. A little group of private pilots in Nunavut got together to establish a flying club in the Eastern Arctic region, where flying is quite challenging and unique. It offers flights to Baffin Island, the largest island in Canada and inhabited by Inuits. There are only a few members, so if you’re around Nunavut and want to fly, Polar Pilots are the only known flying club in the area. You can also fly VFR all around Canada with flyermaps charts available on the app--Air Navigation Pro!